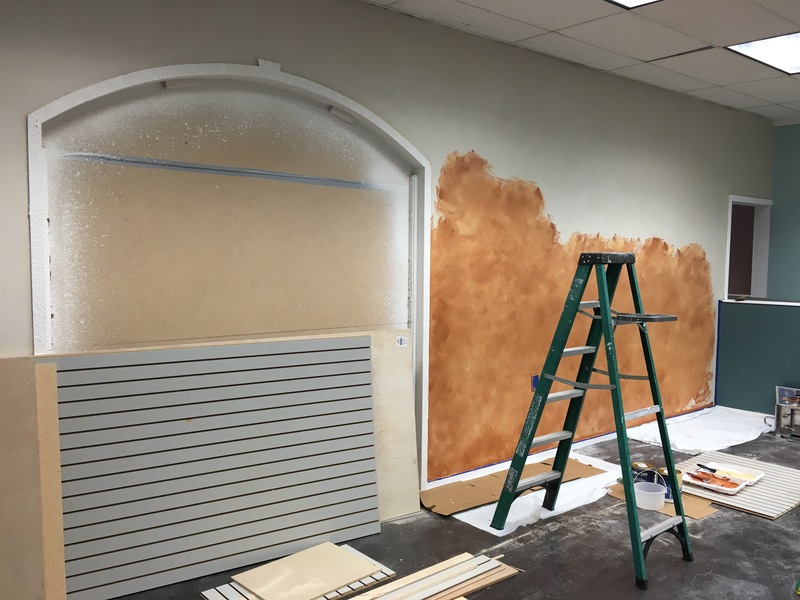 Home News Fairway Center Update: What’s new? Marta’s Cocina (Mexican restaurant) is expanding in a portion of the old Time Keepers spot on the corner. Like the old bakery spot, the windows have been covered in paper since Time Keepers vacated that portion of the shopping center. However, in recent weeks the lights have been on and equipment running late into the night. The expansion will add about 50 seats, along with a full bar and new restrooms. 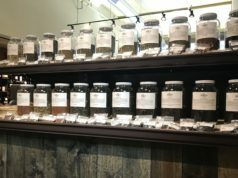 They plan to offer a Happy Hour with deals on drinks and good appetizers, and hope to be open in around three weeks, or mid-December. Marta and her business partner Leo were kind enough to let us in to take a few photos of the progress. A couple of employees pause from painting the interior of the expanding Marta’s Cocina. 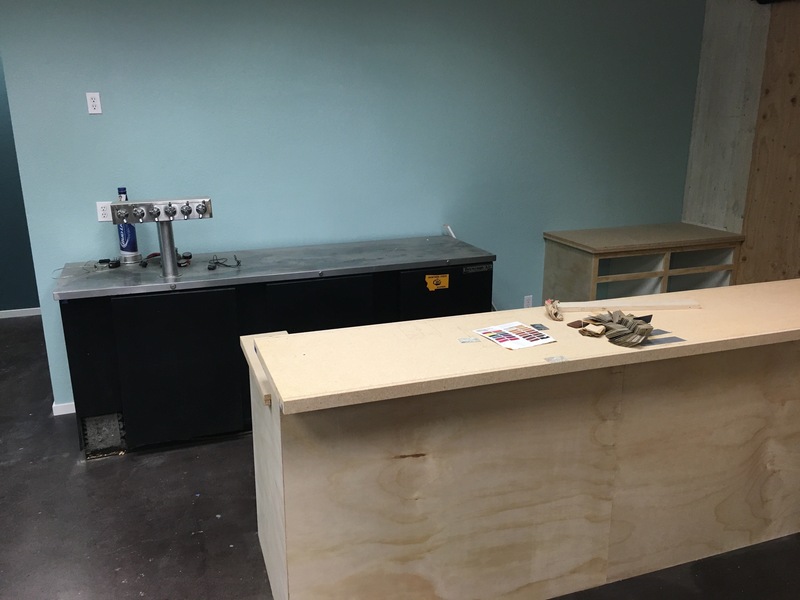 The new bar is on the right. A cutout window seat will provide a view toward Front Street. 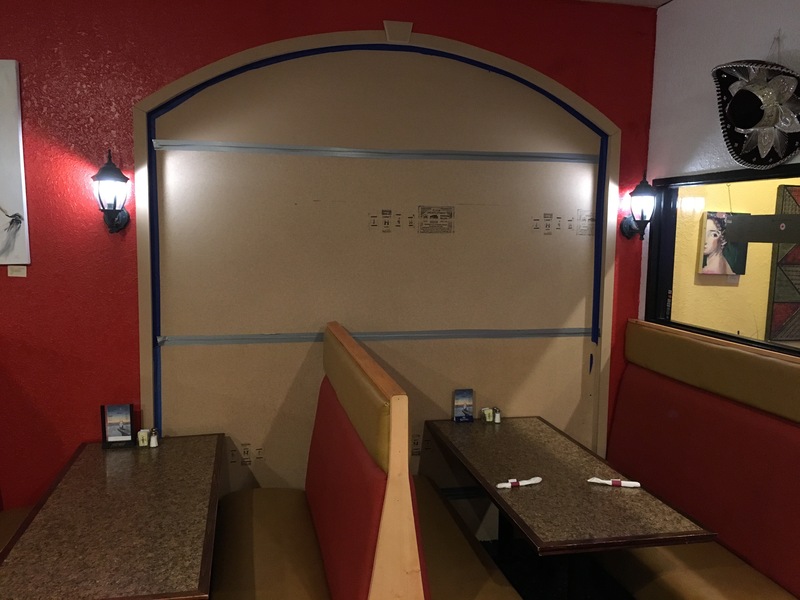 A large cutout in the wall between the new and current restaurant space will allow diners to pass freely between either section. 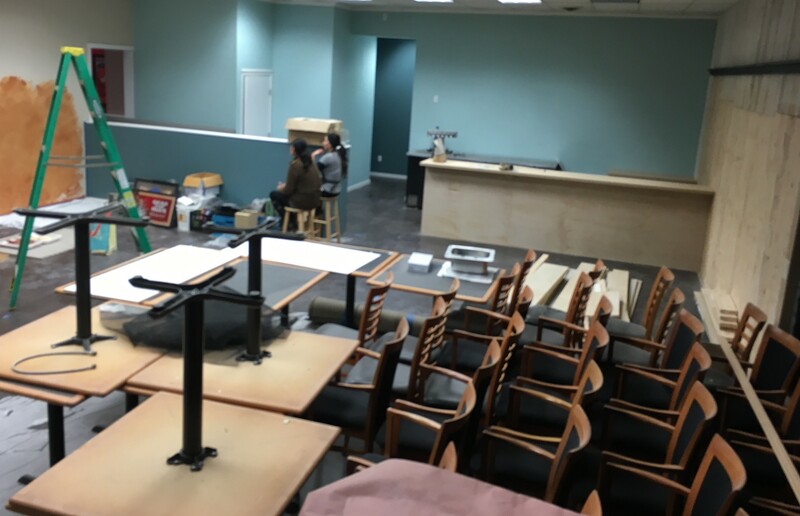 The new bar will have traditional at-the-bar seating options. Marta, Leo and team look forward to launching their newly-expanded restaurant to the community; stay tuned on ourLynden for more details and perhaps even a special deal! 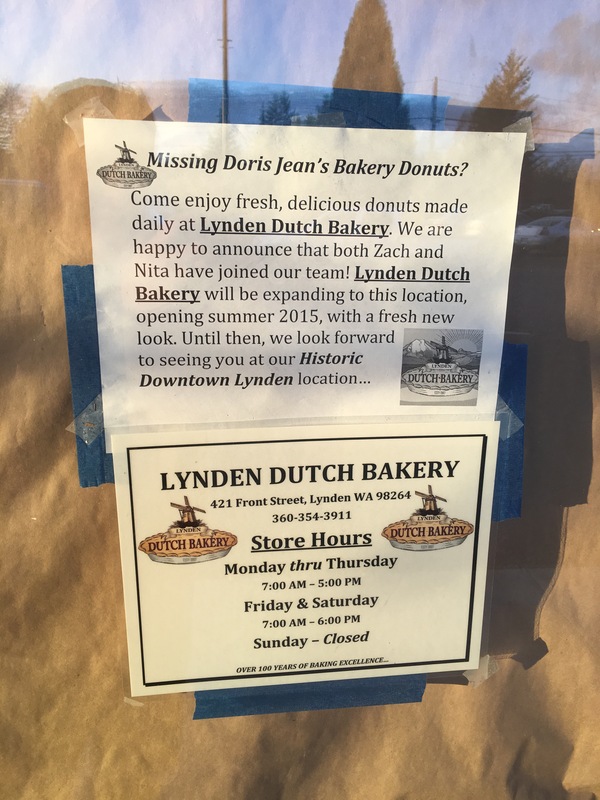 Indeed the Lynden Dutch Bakery is working on opening their second location in town at the spot of the old ‘Doris Jean Bakery’ (formerly Davy Sue’s Bakery, and others). For many months after word got out about this, the windows remained covered in paper, prompting many to wonder if they would ever be able to eat a sweet treat in this spot again. 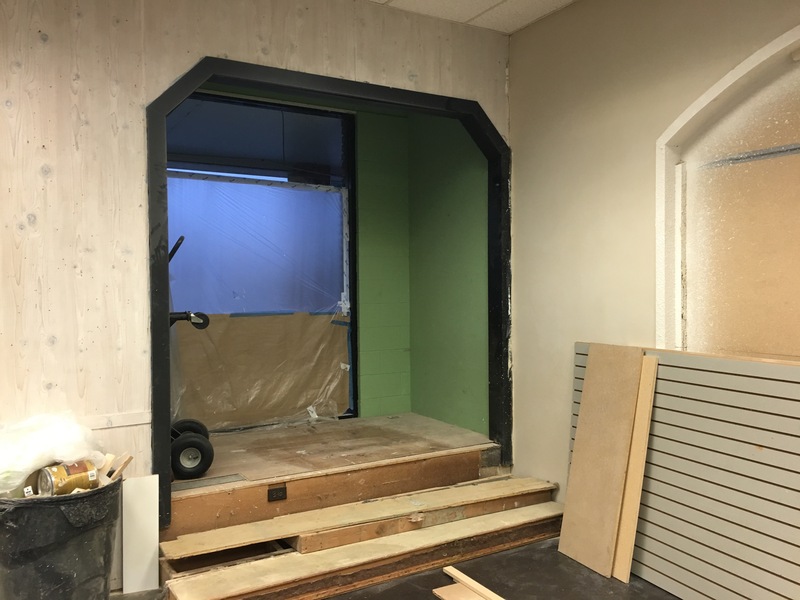 In recent weeks, progress has been made on building out the front of the location to match the next-door Fairway Cafe’s glass-covered seating area. Lights have been on at night with workers going in and out, so it appears progress is being made. 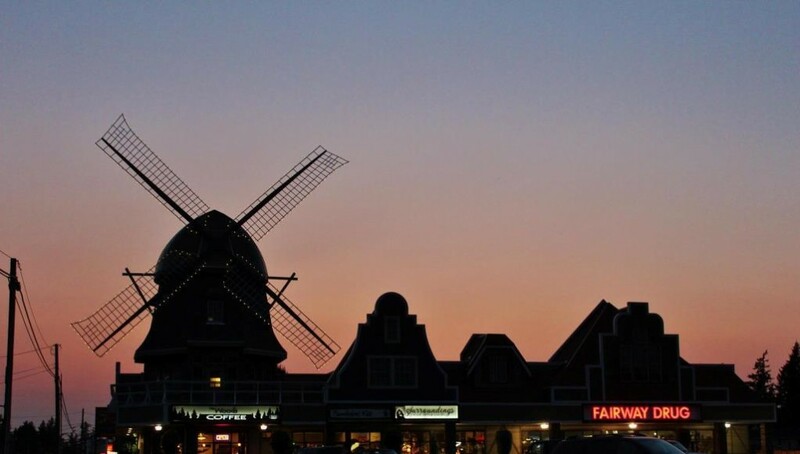 “Hopefully before the end of the December” is when they hope to open, after many unexpected changes and delays pushed the opening back from an initial plan of ‘Summer 2015’ as the sign on the front door still reads. 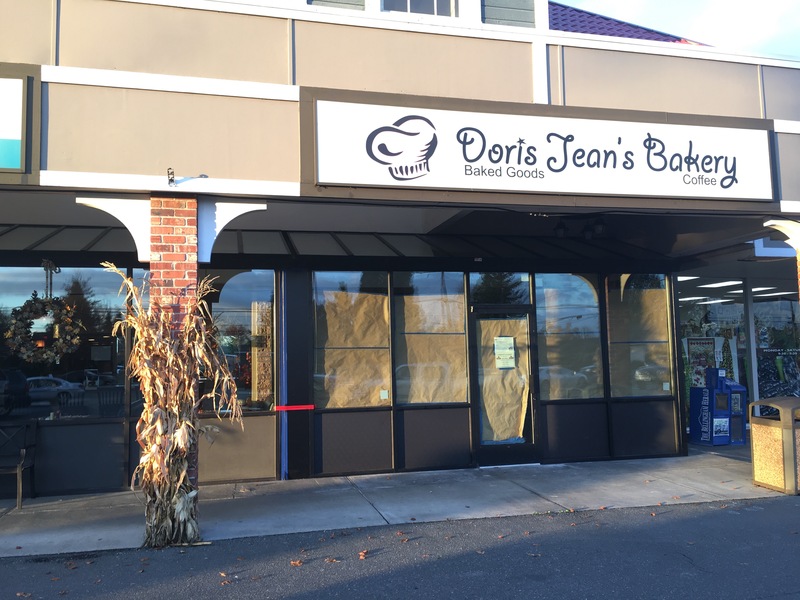 Zach, who ran Doris Jean’s Bakery for some time, will continue to be at the location, which plans to serve donuts and other sweet treats, but will likely have less breads offered than the downtown Lynden location. They have other special plans in mind to make this a special and unique location. 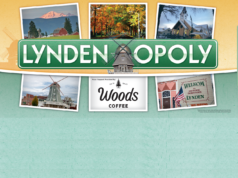 Follow ourLynden on Facebook for the latest updates! 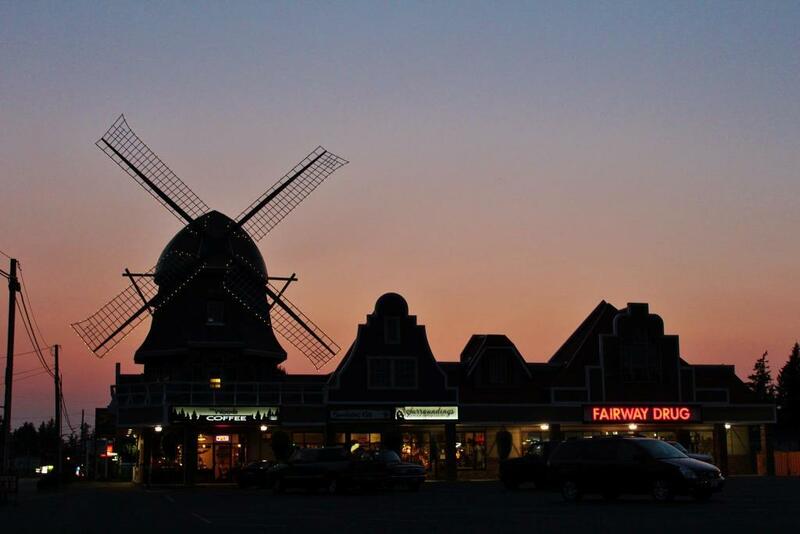 Previous articleVillage Books Lynden is Open!